As I’m just getting back from a weekend trip to sunny San Diego, it seems like the perfect time to mention this year’s National Homebrews Conference. The event will take place from Thursday, June 11 through Saturday, June 13 at the Town & Country Resort & Convention Center in San Diego. If you are an active homebrewer and have never been to San Diego, this would be a great opportunity to visit the city and enjoy all the great beer available down there. More details follow in the press release below, but please check out the website for full conference information. The registration window opens tomorrow, February 18 and runs through February 24. WHAT: For the first time since 2011, the American Homebrewers Association National Homebrewers Conference takes place in sunny San Diego. Homebrewers will flock to what has been described as the “hoppiest place on Earth” for three days of homebrewing culture, companionship and competition. Special seminars and events cater to beer enthusiasts and amateur brewers of every level. The 37th annual conference is also home to the final round of judging in this year’s National Homebrew Competition, the world’s largest beer competition, which recognizes the most outstanding homebrewed beer, mead and cider produced by amateur brewers worldwide. 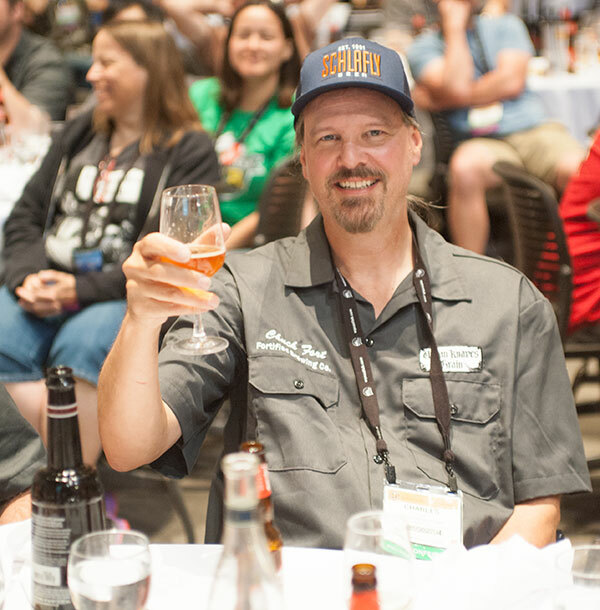 WHO: An estimated 4,000 attendees will have the opportunity hear from over 70 presenters, including keynote speaker Tomme Arthur of California-based Port Brewing Company and The Lost Abbey, who is widely regarded as one of the leaders of the American craft brewing renaissance. Presenters include other pioneering and veteran homebrewers, Cicerones, mead makers and more. Times vary. For a full schedule of events, visit the conference schedule. WHY: The American Homebrewers Association has worked on behalf of the homebrewing community since 1978 and celebrates a membership of more than 44,000 homebrewers and beer enthusiasts. This fun and educational gathering brings together homebrewing fans and friends from across the country to broaden their brewing skills and knowledge, while enhancing the community’s camaraderie. SPONSORS: The National Homebrewers Conference is made possible by the generous support of its sponsors.